I’m a subscriber to Comcast cable who recently re-branded it’s product line as Xfinity. I haven’t been the biggest fan of Comcast over the years but this latest upgrade is much welcomed. I think one of the best things they did was rebuild the online tv listings grid as well as integrate this with my DVR. So now I’m able to set my recordings from the browser or iPhone app. Yes, I realize other providers have offered this for years but today, I’m excited for it. 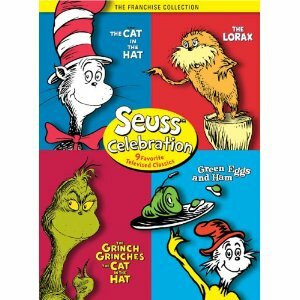 I was just searching for some things to record for my daughter and came across Dr. Seuss on the Loose and Dr. Seuss’ the Lorax. Looking forward to watching those with her after December 1st. In a previous blog post, I discussed how I’d prefer to talk to a human on the phone rather than an automated system. As I was adding Dr. Seuss to my DVR, I was thinking how much better of a process this was from the previous version. Using the remote control to scroll through letters. You can almost hear the annoying sound as if it was someone trying to use a rotary phone – S…tick, tick, tick, tick, tick, tick, tick, tick. I’ve been involved in Internet technology since 1993. Hard to believe it’s been 17 years. It’s certainly my prefered way to do things. I wonder what it will be like for my 3 year old daughter when she gets to high school. Her life will certainly be much more heavily influenced by technology than mine. So much discussion and debate now about how texting and social networks have completely changed communication patterns and our brains. Is it destroying our already short attention spans? Is Texting Making Us Stupid? What do you think will be different about kids in high school 10 years from now? How do you moderate your use of technology?